When starting a new business, every entrepreneur is faced with financial decisions. In addition to thinking about the product or service offered, the new owner must choose how to finance operations. Many times, entrepreneurs will go directly into the venture capital or angel investing route. Or, they check out industry specific options like restaurant start up loans. Others, will go for top business loans from a commercial bank. The decision to fund a company through alternative lending, bank loans or investors can be the major reason for failure. When financing is provided, entrepreneurs have to answer to deadlines, payments and interests. Unfortunately, these pressures can cause the company to grow at uncomfortable rates, causing stress on the company. If the stress becomes to great, the company can buckle and be forced into bankruptcy. But, we do not open businesses to fail and get out of debt with unsecured loans. We start businesses to take advantage of market opportunities that we can invest in and earn from. So, to give ourselves a better chance to be successful, it is a good idea to consider business loan alternatives. Before you skip over this one due to lack of capital, read on. Without a large amount of capital, consider the actual costs to start earning revenues. Odds are, most entrepreneurs do not need an office space in New York to impress clients. They just need materials and inputs to provide their products or services while working from home. Many of the hundred-million dollar and billion dollar companies were founded in the parent’s house of a savvy entrepreneur (living at home). You do not necessarily need business debt to succeed and grow your business. With online businesses making profits all over the web, we can only expect business loans to get more digital too. Crowd funding sites allow you to post you business plan or project and get funded by many investors for smaller commitments than straight interest or equity. For example, you can promise prototypes for the early investors. Again, these resources are highly underestimated and untapped potential. These are the people who know you best. If you are having trouble showing them why you will experience business success, then it is not likely that anyone else will believe you too. On the flip side, friends and family can offer flexible terms and support. Just make sure that you are not borrow from close ones who are not in a position to lend comfortably. Another alternative source of funding from the typical business loan is something called “angel investors.” Angel investors are individuals that you do not know that choose to help fund your venture. In today’s modern technology age, you can easily find these investors using websites made for entrepreneurs like you. These online forums help match those looking for funding with investors who believe in their idea. Securing alternative business funding is as easy as typing in a website and creating an account. If you want to secure funding, but do not want to be repaying a business loan for many years, consider finding an angel investor online. 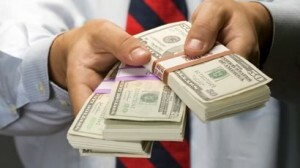 When it comes to business loan alternatives, these are among the top sources for entrepreneurs. Even if you are eligible for a bank loan, you probably want to consider these sources first. When you really put your mind to it, you will most likely realize that you actually already have everything you need. It is just a matter of focusing on pleasing your customers and scaling your business growth with effective revenue management. If you are looking for alternative financing solutions, there are plenty of alternative lending platforms online that you should consider before you ever start worrying about paperless payroll solutions. Kabbage and OnDeck, for example, are two online lenders that provide lines of credit and short and long-term loans, respectively. These alternative lenders are an excellent opportunity for entrepreneurs to capitalize on. No matter how much capital you need or what you need it for, you are sure to find many business loan alternatives to choose from. Do you plan on using any of the funding sources mentioned above? Can you think of another business loan alternatives for funding? Do you have more questions about financing your business?